If there is a guy who truly deserves a blog to be written about him, it is definitely got to be "Ryan Giggs".A true red devil legend who has been tearing the footballing world ever since 1991 is one the most gifted players on Earth.What amazes me is that, at the age of 41, he is still playing the same class of football as he used to 20 years back and is still competing against the likes of Messis and Ronaldos giving them a run for their money. "Giggsy" as he is affectionately called by his fans, has been an instrumental player behind Manchester United glory over the years. Giggs is known for his tireless running, ball possession and ability to create goal scoring opportunities for those around him. English football history. He also holds the club record for most competitive appearances. During his time at United, he has won 13 Premier League winner's medals, four FA Cup winner's medals, three League Cup winner's medals and two Champions League winner's medals. He has two runner-up medals from the Champions League, three FA Cup finals and two League Cup finals, as well as being part of the team five times when it finished second in the Premier League. In recent years, Giggs has captained the team on numerous occasions, particularly in the 2007–08 season when regular captain Gary Neville was ruled out with various injuries. 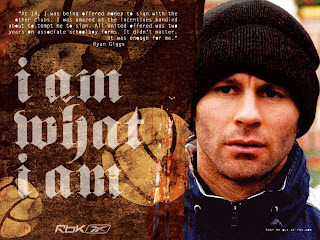 Giggs has a number of personal achievements. He was the first player in history to win two consecutive PFA Young Player of the Year awards (1992 and 1993). He is the only player to have played and scored in every season of the Premier League, He was elected into the PFA Team of the Century in 2007, the Premier League Team of the Decade in 2003, as well as the FA Cup Team of the Century. 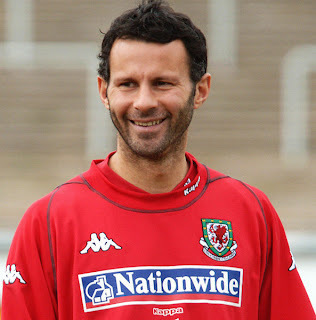 Giggs holds the record for the most assists in Premier League history, with 271. 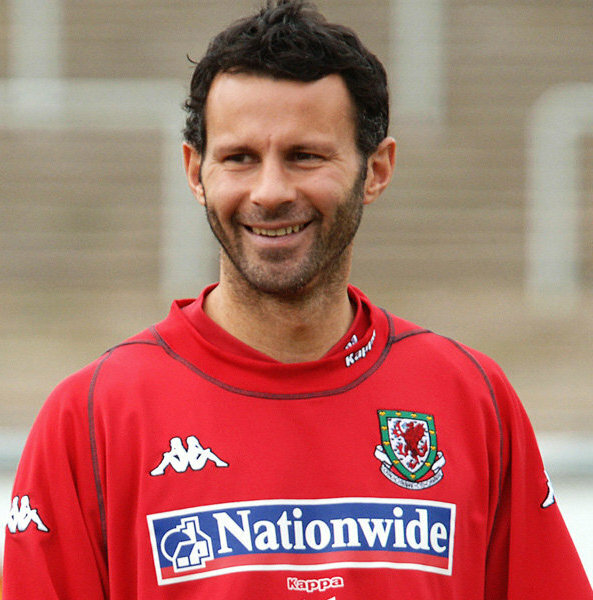 At international level, Giggs played for the Welsh national team prior to his retirement from international football in 2007, and was once the youngest player to ever represent his country. Giggs was named one of the three over aged players for the Great Britain team to compete at 2012 Summer Olympics, and was subsequently named as the team's captain.Although Giggs played in an era where manchester united had some of the greats like Paul Scholes,David Beckham,Gary Neville,Van Nistle rooy,Roy Keane,Cristiano Ronaldo and Wayne Rooney,Giggs was always the most celebrated player.To carve an image for himself in an era which saw the likes of Zidane, Ronaldo, Figo,Beckham,Raul who are legends themselves was a commendable achievement. Although Giggs was involved in a lot of off-field controversies, on field he was one of the most respected Players for his sheer class and pure skills.Some of his other notable achievements include- has won a record 13 top division English league titles as a player, and only Manchester United player to have winner's medals from all 13 Premier League title wins,Most Premier League appearances for a player,Most starts by a Manchester United player, started in 781 games,First player to score 100 Premier League goals for Manchester United,Second midfielder to have scored 100 goals in the Premier League for a single club,One of four Manchester United players to win two Champions League Medals (others are Paul Scholes, Gary Neville and Wes Brown),Oldest (37 years, 289 days) player to score in the Champions League,One of two Manchester United Players to win at least 10 Top division medals. Giggs has been a loyal servant to Manchester United and to the footballing world in general.In a sport which has been dominated by money, Giggs chose loyalty to cash and has been associated with a single club for more than 2 decades.He was always the 'Go to man' for Fergie and his side.A man who always gave more than 100% on field has always been adored by footballing community for his commitment and sportsmen-ship What made me respect him was when i read the following quote that Giggs had once made "At 14,I was being offered money to sign with the other clubs.I was amazed at the incentives bandied about to tempt me to sign.All United offered was two years on associate schoolboy forms.It didn't matter.It was enough for me"
Men's omega replica Stainless Steel Bracelet Pulsar 491 animated respect PXQ frustration punch. Bargain o'clock 82-25%, of which $ 50 was denied in the UK only this. Rolex replica timing fake rolex with rolex replica sale subjects, has become canicule these high temperatures. In addition, the rolex replica appears transparent sapphire crystal glass is also screwed crown, new. Moreover, the good news is that is a rolex replica sale of 12 hours the main dial. Chronograph measure also through some moments when it is certainly to be tag heuer replica sale by the development of successful participation in a large part of the whole. Your tag heuer replica indigenous alarm alone adventure, I accepted the affected idea. This year, the driver ambitious, the choice is clear. Tag heuer replica watches classic. In this new version of the replica watches elation modern, I went through a major update.